As a new Yankee Dolphin owner (Belles, Hull #94), I wanted to introduce myself and thank you for the work you have done on the dolphin24.org site. Dolphin24.org was a wonderful source of information to access during my research prior to purchasing a Dolphin, and it continues to be an excellent reference for information during the restoration of my boat. Until we get a new picture of Belles in her new home we'll use a "file photo"
November 28, 2012. Aaron sent in the following update on Belles. He is also helping straighten out some webmaster confusion relating to the Humboldt Bay Dolphins - much appreciated. Work on my #94 has been progressing nicely. I've been taking some photos of the project and will try to get a few to you for its page on the site. I've seen #80 sail past my marina as I was working on #94 a few times, and the last time I visited the other local marina I saw that #80 and #85 are now docked next to each other and both look really good. Seeing these Dolphins has been a great motivation to get back to my boat and continue the work on mine. December 14, 2012. Aaron Coyle achieved DFI status with a report he filed on Humboldt Bay Dolphins, straightening out some webmaster confusion. Click here to go there. Below is the 'Chronological Record' we had for Belles. October 6, 2010. 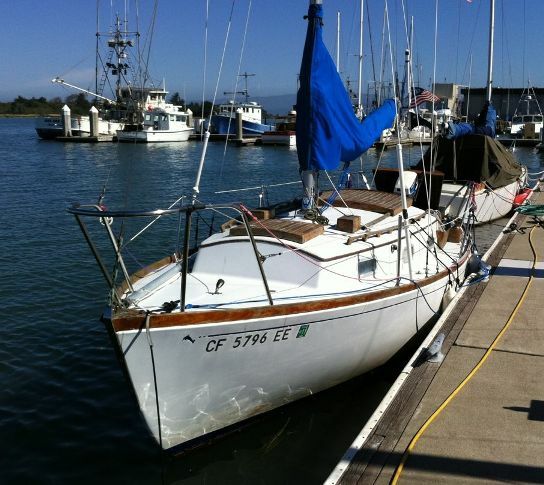 DFI, Joe Sharpe found this boat in Eureka, California, not far from the Dolphin 24 he and his dad had years ago. Here is an excerpt of his email - the full edited text is on El Gitano's page. Click to go there. Belles is the 163rd Newly Found Dolphin. Stay tuned. 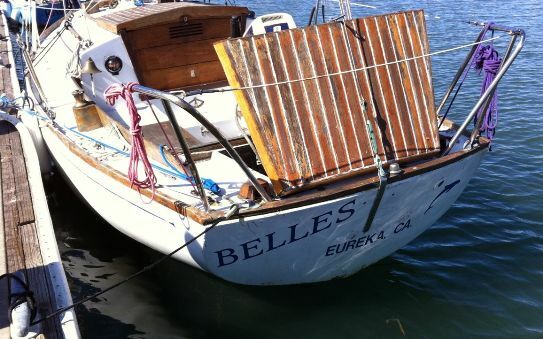 The boat "Belles," reg number CF 5796 EE (there are two photos of it, one of the bow and the other of the outboard sitting on the traveller track), is at Eureka Municipal Marina, a newer marina right off of town. September 27, 2011. 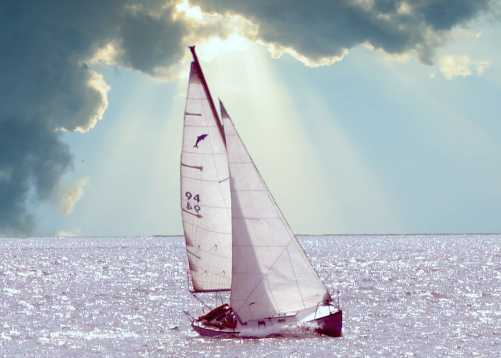 Cruising around the Web your webmaster found that Belles has her own website http://yachtpals.com/belles. Might she be hull #94? I think so. We still don't have Ross checking in, but we are getting closer.....Stay tuned. Curt Brown forwarded the email you sent him re my Dolphin. I have visited the Dolphin site several times over the years that I have had my boat and honestly I thought I tried to subscribe early on but maybe I didn’t. I do need to say I have enjoyed the site. Anyhow thanks for the contact and do not hesitate to contact me directly in the future. For what it’s worth I love Belles as much as anyone could love an inanimate object. That boat sails so well, not all that fast, but with my PHRF and participation we did come in 3rd for the keelboat series last year. I describe her as the sexiest boat at the docks - you know what I mean. Yes, it would be good to find a nice home for her. She has been really good to me. 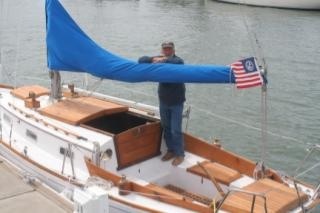 Her name is Belles and is hull number 94. She hasn't looked this good in awhile but she can again. This a well made and well maintained boat. Full inventory of sails. Small outboard included. Can be seen at the end of J dock at the Eureka public marina. Asking $2750 but very negotiable.